Home / Anaheim Angels / Mike Trout with some Friday Night Magic, is still the best player on the planet. 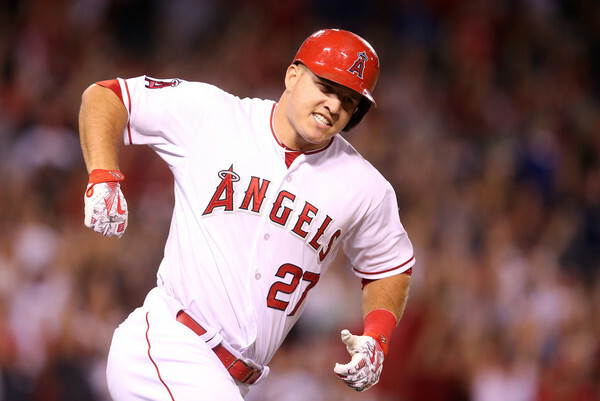 Mike Trout with some Friday Night Magic, is still the best player on the planet. We did a podcast Friday afternoon with our buddy M.J. Lloyd, filling in for Mike Hllywa on the Monkeys With a Halo Podcast. During the gratuitous Mike Trout segment – a segment that has become tradition when M.J. and I do a podcast together – we pointed out that with all the amazing talents in baseball today who do a great job taking the spotlight off Mike Trout; he’s still at the top of the mountain. And about a half hour after your likely midnight…. I like a lot of scoring in my baseball; but it’s always kind of special when there’s a 1-0 game played and the home team wins it with a home run from their star in the bottom of the ninth. Wade Miley allowed just a double to Kole Calhoun in seven innings, and the second hit of the game for those magical Halos won them the game. The blast was (quietly?) Trout’s 27th of the season, tops among all American Leaguers. This all follows up of course him giving the American League homefield in the World Series with his second consecutive All Star Game MVP. Mike Trout is king of the baseballers.